INFINIVIN ships France and within the European Union. It usually takes 3 to 5 business days. 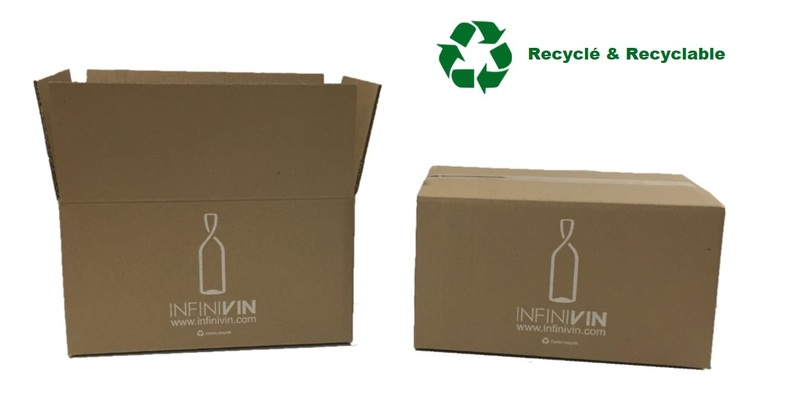 Our strengthened and secure packagings are made of recycled and recyclable cardboard. You want to order more than 36 bottles ask us for classic community road transport , by phone +334 94 23 68 35 or e-mail à contact@infinvin.com.You will receive your order on appointment setting within 5 to 8 business days Bottles are kept in their original packagingand treated by deliverers specialized in the delicate transport. The delivery deadlines are indicative, and run as from the reception of the payment.The overtakings of delivery deadline cannot give rise to damages, to restraints nor to cancellation of orders on hand. However, if one month after written complaint of the customer, the goods were not still delivered, the sale can then be solved on the initiative of either side. The customer will obtain refund of his payment with the exception of any other compensation or damages, at the latest within one month. In any event, the on-time delivery can intervene only if the customer communicated with the seller of the exact information on the address and phone number of the addressee.Delivery checkUpon receipt of the goods, it is up to the addressee to verify the state of the goods in the reception and to make any necessary observations in case of break-in(breakage), of damage or of missing, by expressing its reserves on the delivery note, and within 48 hours which follow the reception of the goods, by registered letter with recorded delivery with the carrier, of which copy to the seller, to protect its rights. You are sending a present? No invoice is joined with your order (available invoices only from your customer account) and you have the possibility of adding a message personalized during the finalization of the order " your order is Present? ". 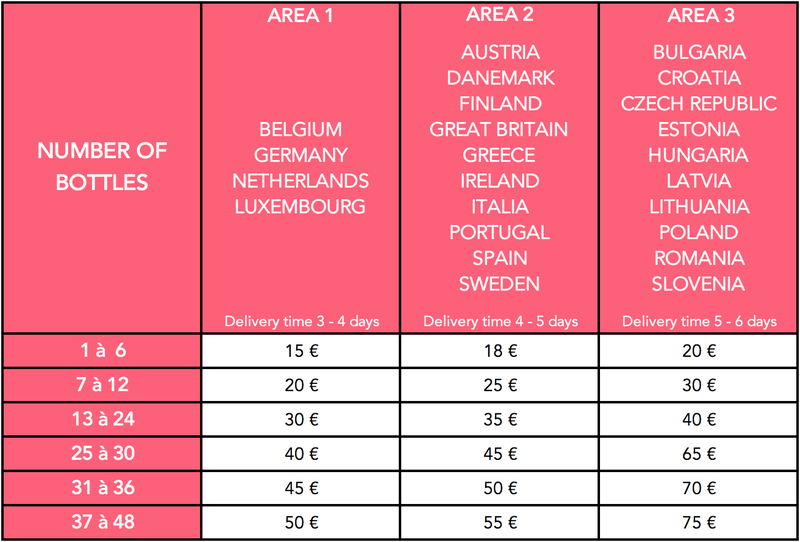 You can follow the routing of your present directly via your customer account during a sending by Chronopost you can contact our customer service +334 94 23 68 35 or by e-mail at contact@infinvin.com.